You’ve got the space. You’ve got the colors. You just can’t get everyone to agree on the subject matter. When it comes to art, this is not an unusual occurrence, especially if the area you’re seeking to decorate is a public space. This is where abstract art can be a lifesaving or job-saving solution. One of the great gifts of abstract art is that the images can speak to many people in different ways. Say you’re redecorating the “Smith and Jones” law office, for example, and Mr. Smith loves bright, seaside watercolors while Ms. Jones prefers art deco posters. It’s going to be pretty difficult—if not impossible—to please them both. One solution would be to choose something like Peaceful Fusion, which could represent a seashore, but also carries the strong lines and color palette of some art deco images. Hopefully both Mr. Smith and Ms. Jones can find something to like in this relatively neutral, but still eye-catching, piece of art. Abstract art can also cross cultural boundaries, making it an excellent choice for filling hotel rooms which see visitors of many nationalities. By focusing on a fundamental shape theme, such as circles or lines, you can fill room after room with a variety of abstract art images which will evoke something for everyone without being specific about it. 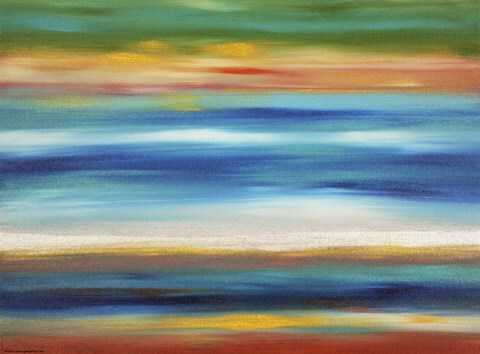 One fine example is Sunset Falls II, where the lines could evoke trees, a waterfall, colorful flags, reflections…and probably a dozen other images, depending on the perspective of the viewer. Abstract art can also be employed to hint at something—like a soft sell—without being too overt about it. If your company manufactures machine parts, an abstract art piece like Momentary would hint at the work you do while not overtly selling it. 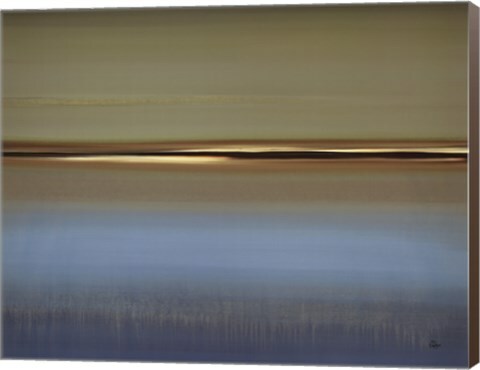 If you and your beloved met at a special place in the mountains, find a piece of abstract art for your living room which evokes that mood and moment, rather than just a photograph which reproduces it. The perfect piece of abstract art is out there, waiting to be discovered, so start your browsing today! Hilary Winfield is an innovative, contemporary fine artist, creating from both intuition and from the energy and inspiration that she absorbs from the world around her. Originally from Washington, North Carolina, she relocated to Portland, Oregon approximately eleven years ago, awed by the amazing beauty of the Pacific Northwest. Winfield’s art is collected both domestically and internationally and lends a refreshing and energizing vitality while simultaneously portraying great depth and balance. The American Art Awards have honored Winfield with a first place award in the Abstract Art category during 2011 and 2012 as well as first place in the Asian Art category during 2011 and second place in the Abstract Art category during 2012. A painting from Winfield’s popular Lithosphere Series is part of the permanent collection in the Rochester Museum of Fine Art. Winfield derives inspiration from the elements of the environment and from nature, including many unique aspects; weather, rusting metal, aging wood, water, dilapidated buildings, peeling paint, stones and rocks, the city lights at night. She notices magic everywhere, often in unanticipated places; from the surface of a body of water to the rustic, industrial warehouse floor of a manufacturing facility. The creative process for Winfield involves experimenting with various mediums and methods of infusing texture, iridescence and illumination into her work. Everyone looks forward to spring and the world around us turning green again, and there is a bounty of green themed art for spring decorating this year. 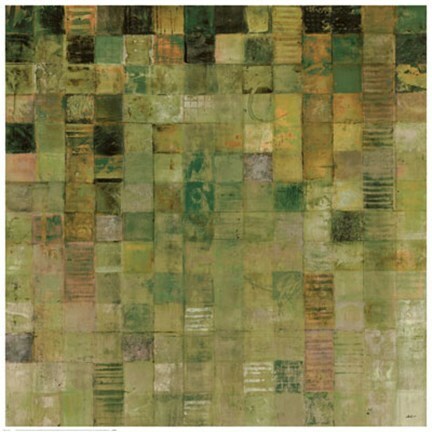 To celebrate Earth Day, you might like some art from our Environmental Awareness collection, and if you just want a natural, earthy feel in your designs, then there is a wide selection of green art available in various shades of Olive, Hunter Green, bright Lime Green and many more. Morning at the Cove I by Danny Head is a great landscape in many shades of green. And Warmth II by Volk is a more modern image in green that complements contemporary home decor, as well as offices, waiting rooms and hotel lobbies. You can browse many more images in popular shades of green at http://www.liebermans.net/productlist.aspx?id=4015. 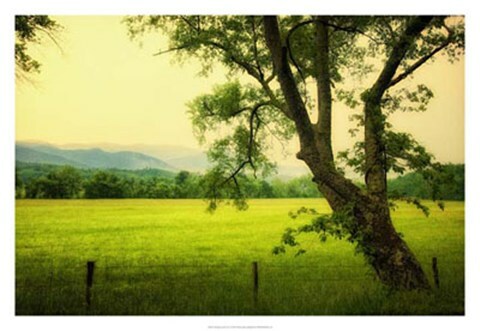 Canvas art is a great way to decorate with the look of original artwork, but without the price tag that goes with it. While there was a time when canvas art was seen almost exclusively in traditional style frames, it’s now available with many different finish options, including gallery wrap, painted sides in various colors and a wide variety of contemporary frames. One of the biggest challenges facing design professionals wanting to incorporate canvas into their work is the misconception that all canvas products are the same. This is simply not the case. Lieberman’s skilled artisans create the feel of an original painting with meticulous quality workmanship when creating our canvas, and we use only artist grade canvas and materials in all of the canvas that we sell. The so-called canvas art being mass produced and sold at big box retailers just can’t compare to this product. If you’d like more information on our canvas art, or need a sample to show customers the quality product that you have available, please don’t hesitate to contact us! Thanks For The Giving, Thanksgiving!